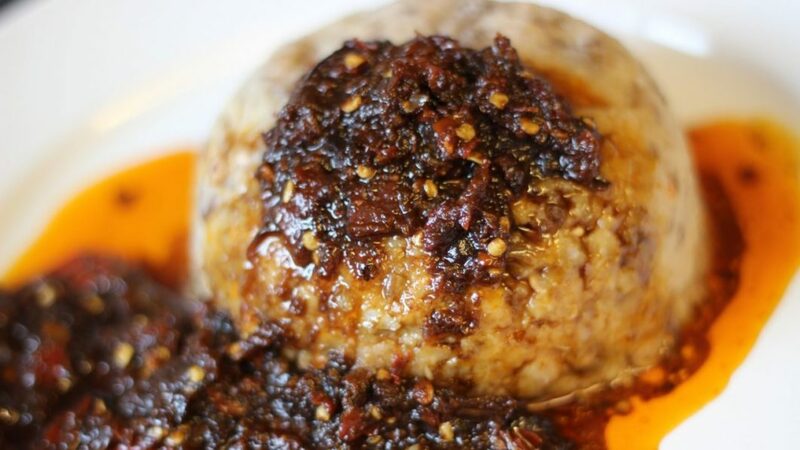 Ewa Agoyin—boiled beans and pepper sauce– is one of the most popular ways of eating beans today. It is so beloved by everyone, that even those who do not like beans on a regular day, have favoured this wonderful delicacy. The great thing about Ewa Agoyin is that it cuts across all social and economic demographics. Whether you belong to the high class, middle class or low class; it is available on all levels of living. If you want to make this delicacy within the comfort of your home, follow these easy steps. Soak the beans in cold water for 5 hours. Boil the beans for 5 minutes and discard the water. Rinse the beans in cold water and set aside. Blend the tomatoes and boil the tomato paste till the water in it dries up. Cook the beans till done. Add salt, leave to dry up all the water and set aside. To cook the Agoyin, pour the palm oil into a separate dry pot. Allow to heat up till the oil starts smoking and the red colour changes to clear. Add the precooked onions and stir continuously till the onions is fully caramelized. Add the parboiled tomato paste and stir continuously till the tomatoes and onions blend totally. Add the pepper, crayfish, stock cubes and salt to taste. Stir until it boils. Set down to cool.